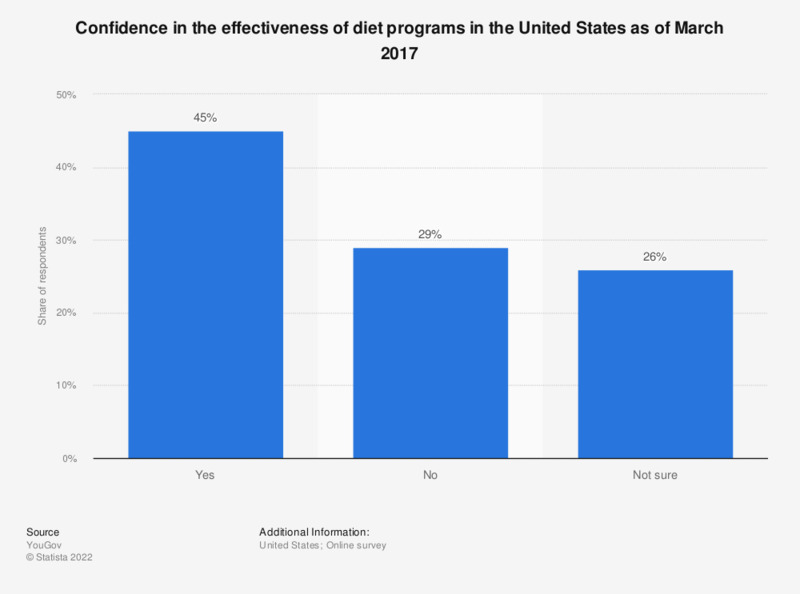 The graph shows information on the degree of confidence in the impact of selected diet trends in the United States as of March 2017. During a survey, 45 percent of respondents stated that they believed diets worked. This question was phrased by the source as follows: "Do you believe diets work?"